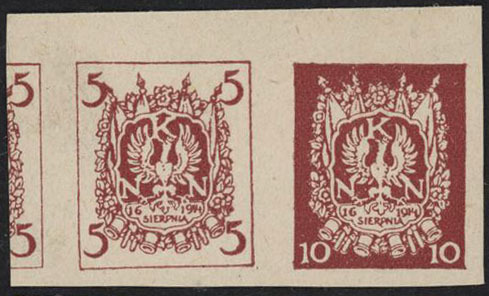 Very rare pair of VF, Unused imperforate 5 and 10 hal Eagles (Orzel) issued by NKN (Supreme National Committee) in Krakow for use by the Polish Legions fighting in Russia. 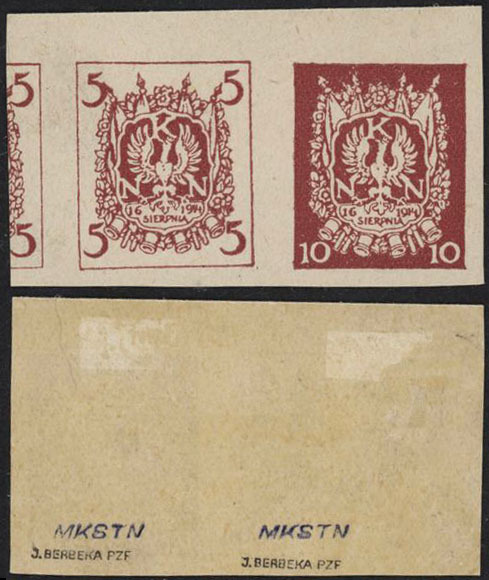 All issued stamps were perforated. Only a few imperforate are known to exist. J. Berbeka Color Certificate.